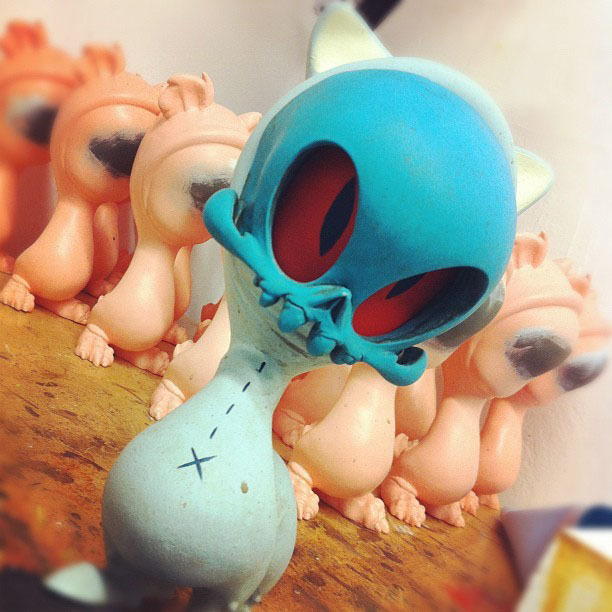 We will be delivered brand new three pieces of One-off Tomenosuke Exclusive Figures from SF based artist duo Doubleparlour. Differing with previous two series of variation pieces composed from three items, this is composed from completely distinctive three characters. Doubleparlour’s potential is excellently revealed in weird and unusual characters. We will announce sales date soon, so wait until then. 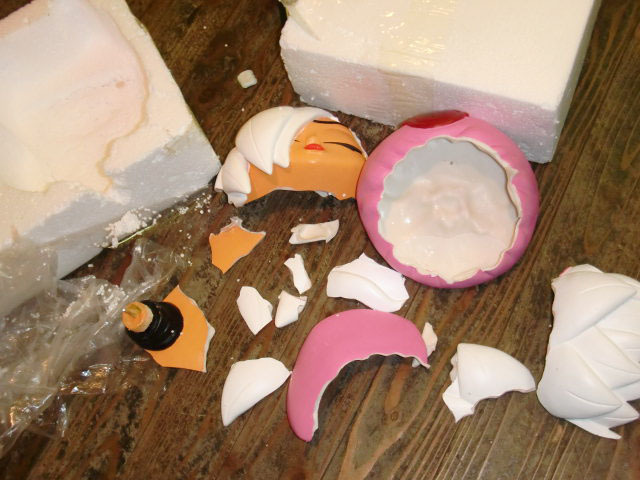 (aka.Eno) could bring it back to life by combining broken pieces diligently, and scratching pieces with using a pate. 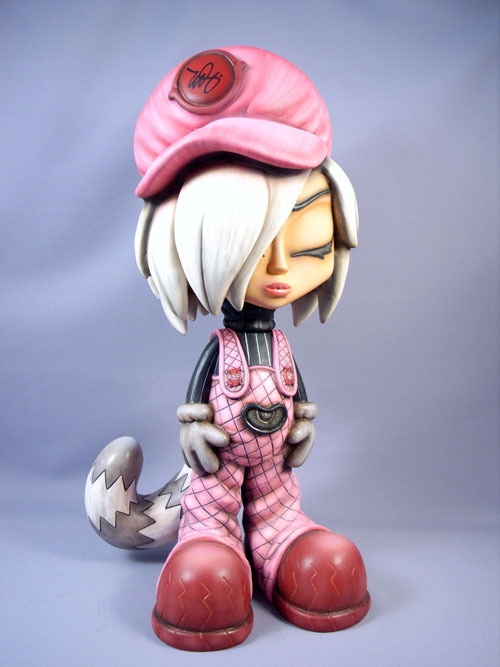 Further, he could improve overall qualities by his unique paint style, and also depict "EST-TOY" and "Tomenosuke" logos. 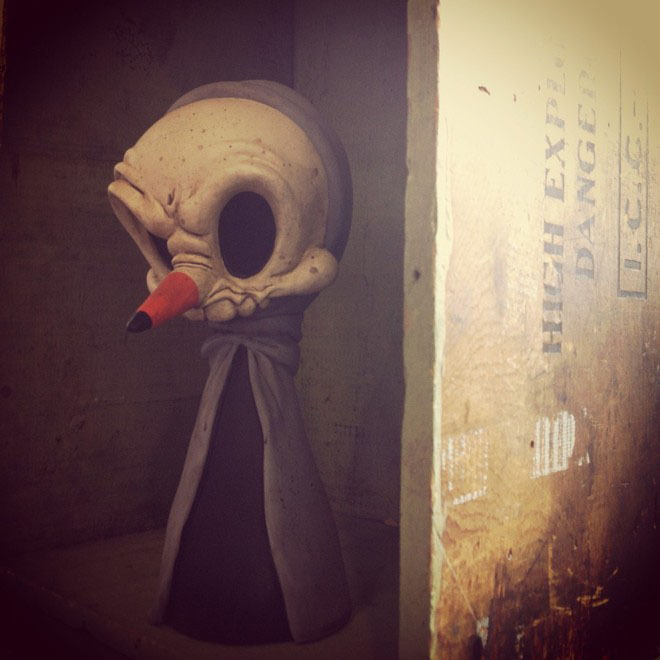 We made a decision to sell this revived figure as a collaboration piece by Erick and Eno. We are very pleased if you could check our online-store at midnight, August 4. 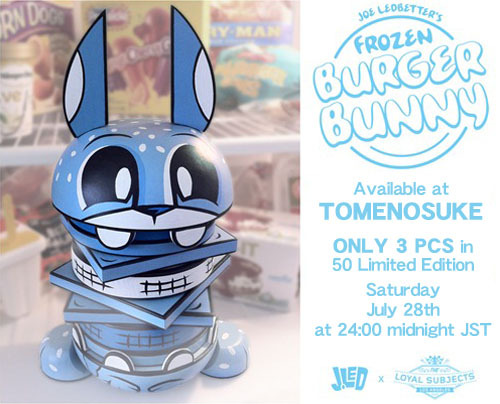 ご予約はこちらから→http://tomesyoten.exblog.jp/18492374/ The Loyal Subjects and Joe Ledbetter have something to cool you down by the 10” Frozen Burger Bunny wood figure. 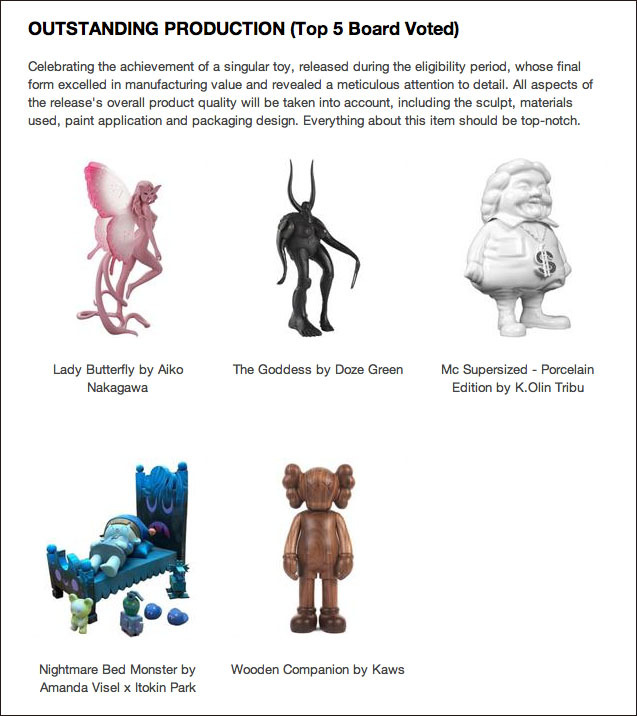 It is The Loyal Subjects Exclusive and limited to 50 pieces. 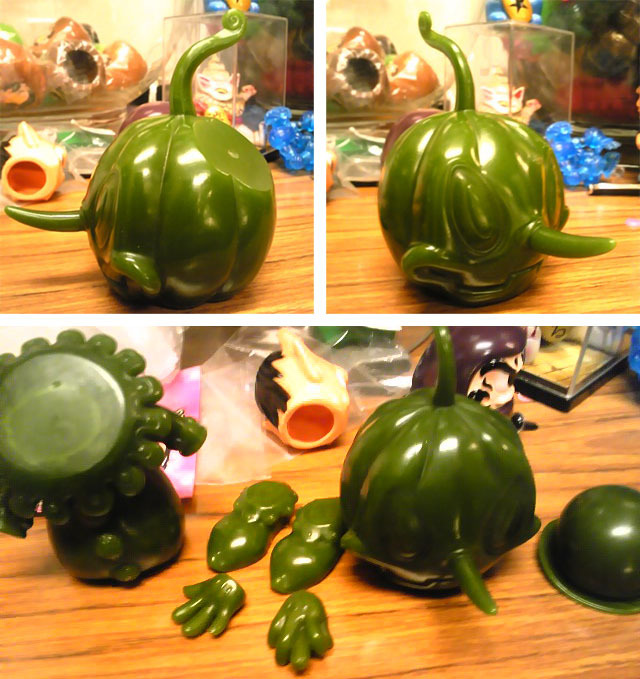 But we carry 3 pieces for Japanese collectors directly. あの赤いスカル顔のマサオの隣りに絶対飾りたくなる、これまた夏向きのブルーが利いた新作だ。 Everybody waited eagerly new limited edition figures of Circus Posterus and they will be sold at Tomenosuke online store soon. However all figures are local customers only. 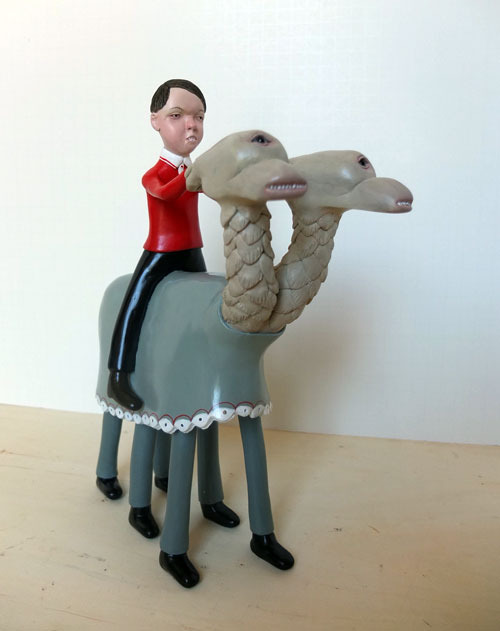 ご注文はこちらから→http://tomesyoten.exblog.jp/18446178/ The Pyong Yang Player the newest edition to Frank Kozik’s empire of busts. 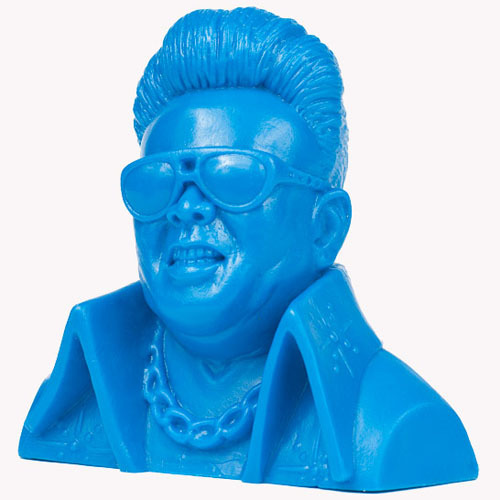 Our dear departed leader of North Korea dressed to impress, sculpted in single color vinyl, and available in 5 color options: electric blue, magenta, yellow, black and white. 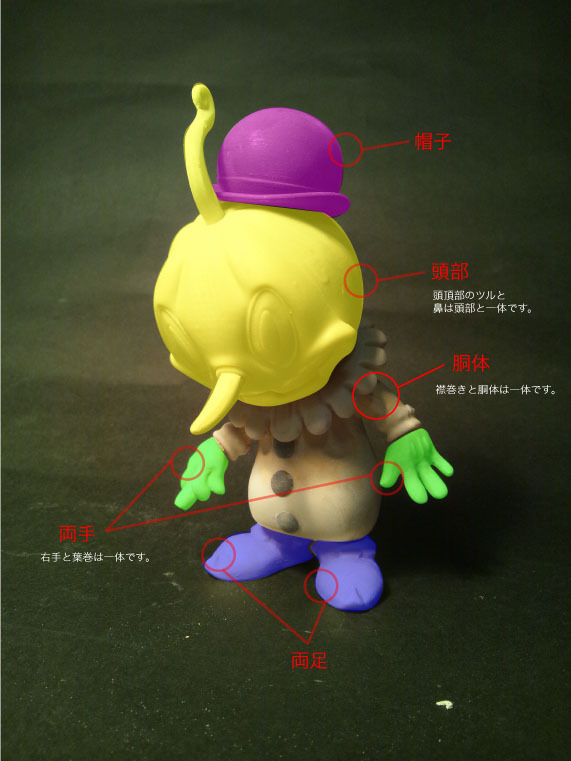 下の画像は各パーツを色分けしたもので、塗装サンプルではない。 The total number of parts of Sofubi Stingy Jack will be seven. The image above is the one in which each part is color-coded. It is not a paint sample. Mirock Toyの金子洋平君による原型は、金型製作用に職人さんによってワックス型に置き換えられた。 Sculpture will be replaced by wax model, and metal mold will be made with using the model. 金型は全部で5個。 The total number of metal molds is five. 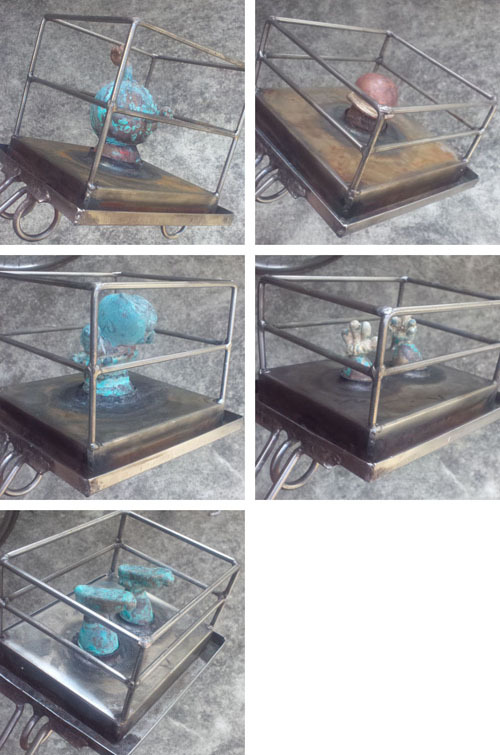 With using just completed metal mold, samples are casted at Obitsu plant. 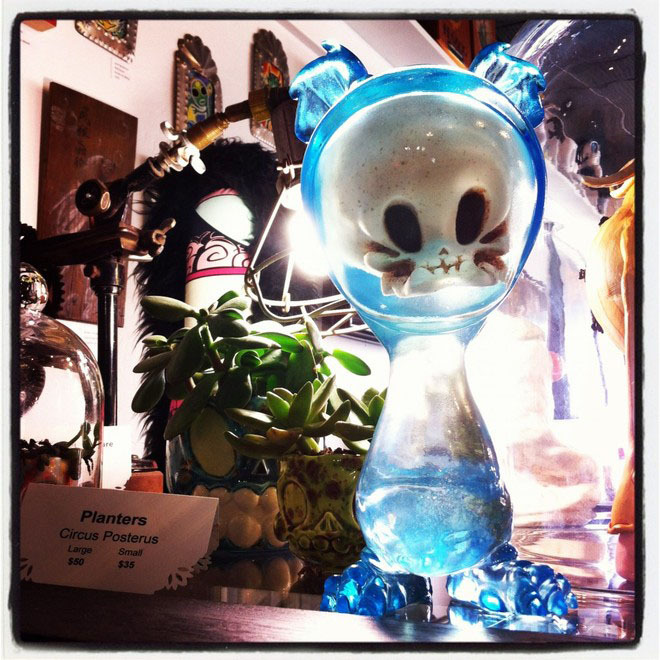 のだけれど、今回のノミネートでやる気がフツフツと沸いてきたのだった。 It was the Lady Butterfly produced by Tomenosuke and designed by Aiko, which has been nominated for DESIGNER TOY AWARDS 2012, and the section nominated for was Outstanding Production. We are experiencing the fun and struggle to make the toys plenty enough in making the Tomenosuke Blasters or the T+CP brand sofubi figures, but, I suppose there isn't a work that keep Enomoto Tencho and I with the work so much, at all stages from assembling through to painting, as the Lady Butterfly. In a sense, the price with the quality can be realized because it is the household handcraft work without the salary requirements. Therefore, already after having finished only ten pieces, the feelings of accomplishment as well as fatigue were considerable, and we were not able to start the fourth colorway yet. However, the motivation was exalted very much by this nomination. 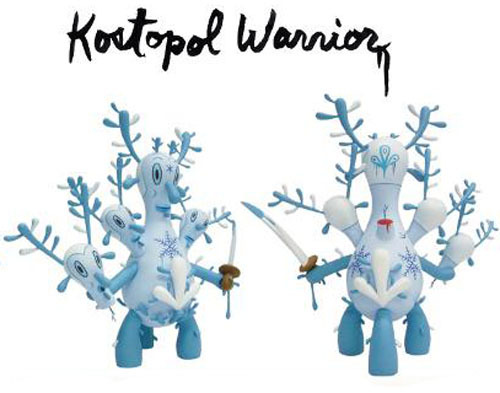 ご注文はこちらから→http://tomesyoten.exblog.jp/tags/Buckingham+Warrior The Kostopol Warrior pays homage to Gary Baseman’s mother’s home town of Kostopol, Ukraine (then Poland) which was ravaged by Nazi forces. Limited to 250 pieces, it is sold at our store now. 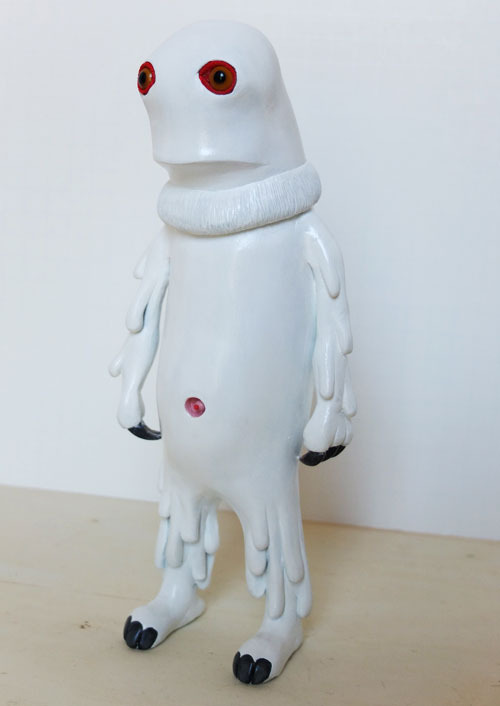 ご注文はこちらから→http://tomesyoten.exblog.jp/18357671/ casting shadows pain signature edition, now on sale at here. 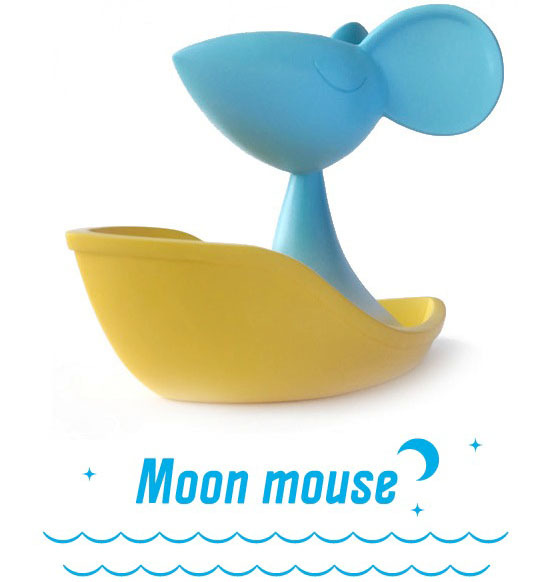 乞うご期待。 Please meet Moon Mouse, the fourth and newest member of Moon Wanderers fleet, next to Moon Fox, Moon Cat and Kluth. 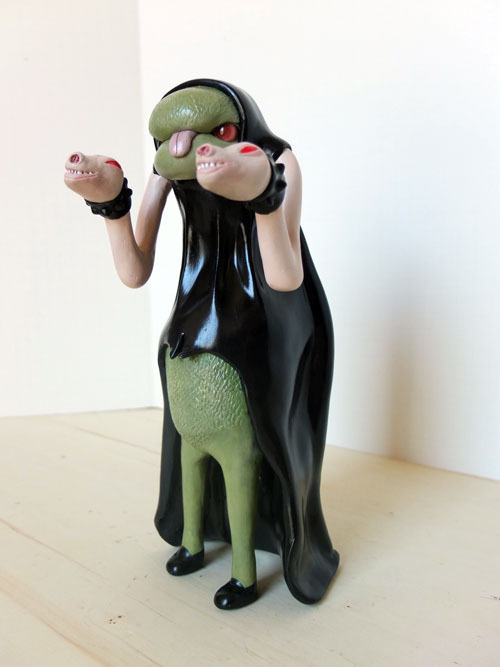 “Healing” toy creator Sergey Safonov now starts making all four characters for Tomenosuke.